This product requires the base game LARA CROFT® AND THE TEMPLE OF OSIRIS™. Want more Lara Croft adventure? 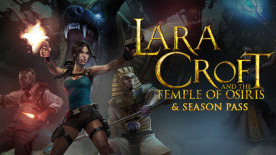 Get the Lara Croft and the Temple of Osiris Season Pass and receive the Icy Death and Twisted Gears Packs. The upcoming DLC Packs offer 6 additional costumes and will challenge Lara, Carter, Horus and Isis to conquer additional tombs and collect a treasure trove of unique rings, amulets and weapons as they become available to download. Lara Croft and the Temple of Osiris game required; sold separately.